With quite a few ebook readers available on the market this year, making the right decision can be tough! So we thought we would run through our “top picks” to help you get the best ebook reader for your needs. 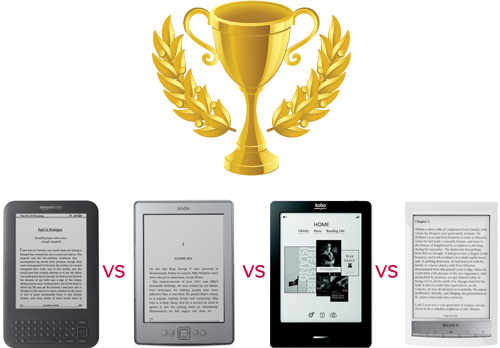 Firstly, should you choose a 5” or 6” ebook reader? This is a frequent question we get and after using some of the most popular 5” and 6” ebook readers, we would definitely recommend opting for a 6” model. Although the 5” screen ebook readers are comfortable to read, having that extra screen space to read your book makes for a much better reading experience. Plus today’s 6 “ ebook readers are so slim and light, and that there really is no need to opt for a smaller screen size. The Kindle Keyboard 3G is one of the easiest devices to use, and is the only one on the market to feature free 3G internet access so you can not only buy books anytime and anywhere. Plus this ebook reader is handy when you need to check emails or internet from abroad without having to pay any roaming fees! 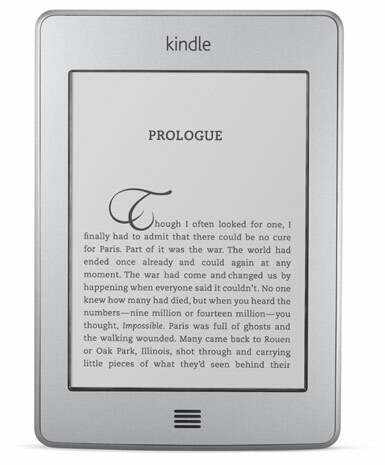 If you are on a budget, the Kindle 2011 is a great alternative. 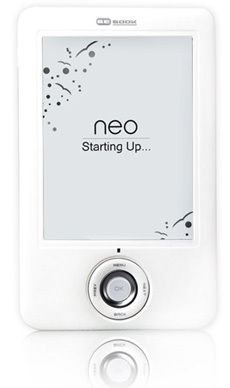 It doesn’t have the keyboard or 3G connection, but provides the same features at a really affordable price. The Kindle 2011 is a fantastic budget e-reader and alternative to the Kindle Keyboard 3G ebook reader if you are looking to save some £££. 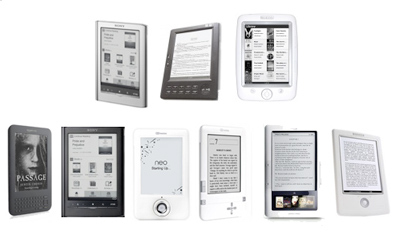 Although its the cheapest ebook reader in our lineup, it does not feel cheap. On the contrary, Its compact, light, and feels great reading. 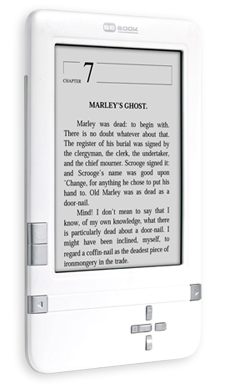 The Kobo eReader is a great effort from Kobo, and it trumps the Sony PRS-T1 in both features, and price. But… at this price point, we would recommend spending a little bit more for the Kindle Keyboard 3G, or opting for the Kindle 2011 ebook readers. The touch screen interface is nice, but if you are budget conscious you can easily do without. Plus the lack of 3G connection means that this ebook reader is not as versatile as the Kindle readers. Looks good, but not as good value as its competitors. 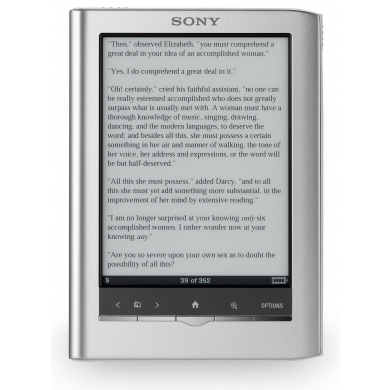 The Sony Reader PRS-T1 is a great upgrade from last year’s PRS-650 adding WIFi connectivity, as well as a lighter, and slimmer design. But…At this price point, the Kindles and the Kobo Touch are better value. Sony and Kobo have produced some fantastic ebook readers this year, but when it comes to functionality, price, and ease of use nothing quite beats the the Amazon Kindles. The Amazon Kindle Keyboard 3G is still very much the king of the hill of ebook readers, featuring free 3G internet access, and the most convenient 1 click ebook purchasing around. The fact that you could be waiting for a flight abroad, and purchase the latest book at a massive discount within 40 seconds is simply amazing. 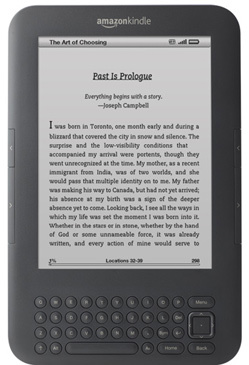 Click here to buy the Kindle 3G direct at Amazon where you can get the best price and free shipping. If your budget cannot stretch to a Kindle 3G, we recommend the new Kindle 2011 which is currently one of the cheapest premium quality ebook readers around. At £89 my guess is that Amazon are probably making a loss in an effort to get market share, and reap the rewards from future purchases. And it will become very difficult for other ebook readers to compete at this price point! 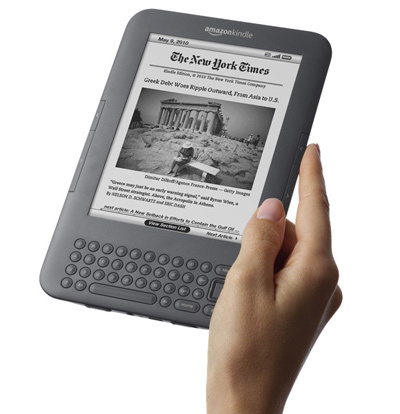 Click here to buy the Kindle 2011 direct at Amazon where you can get the best price and free shipping. The Kindle (not to be confused with the original kindle, kindle 2 or kindle 3G), is this year’s latest Kindle and is Amazon’s attempt to make ebook readers as accessible as possible. 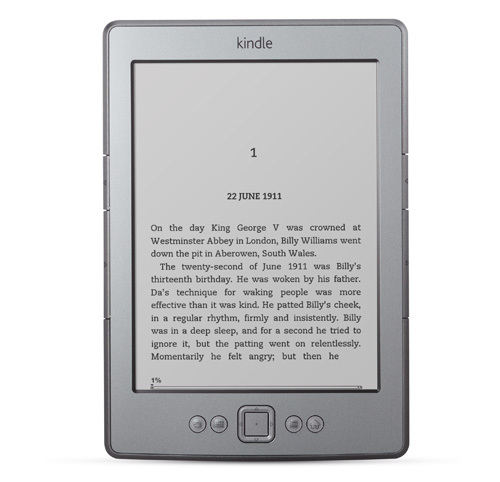 What is new with the Kindle 2011? The first thing you will notice with the new Kindle is that Amazon have kept the crisp 6-inch 167ppi display, but have made the device smaller and lighter by removing the usual keyboard. Instead you get access to 4 buttons and a five way pad. 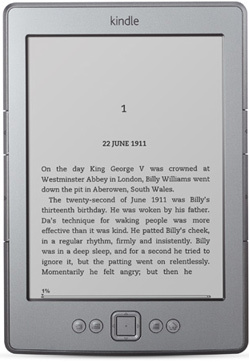 This change alone makes the new Kindle 18% smaller and 30% lighter than the Kindle 3G. Weighing in at just 130g, it feels really light but also incredibly solid as you would expect from Amazon. 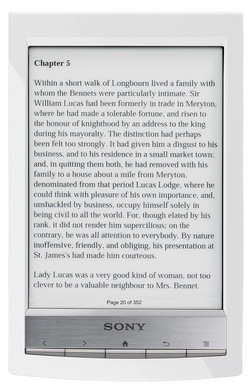 In terms of design Amazon have produced one of the nicest ebook readers around, it looks polished and minimalistic. 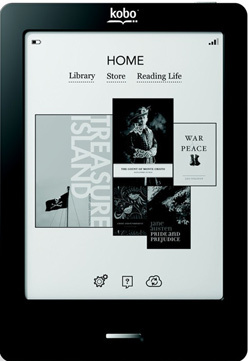 This Kindle does not include a 3G connection, instead you can buy books from the Amazon ebook store and browse the web using the WIFI connection, or transfer books from your pc or mac. Both are really easy to do, and unless you are somewhere where there is no WIFI, this should not really be an issue. Apart from the visual changes, this new Kindle works in the same way as the Kindle 3G. It’s lightweight, packs easily in your things, and feels just right when reading for extended periods of time. The navigation works well, the keyboard-less design is actually quite usable as long as you don’t do many searches or use the internet browser much. You get access to Amazon’s huge ebook store, where you can buy books with one click and can load up a vast range of different ebook/content types including: Kindle (AZW), PRC/MOBI (non DRM), PDF, PDF (non DRM), HTML, DOC, TXT, MP3, Audible (format 4, Audible Enhanced (AAX)), JPEG, GIF and PNG. This price, flexibility, and the instant access to one of the largest ebook stores in the world makes this ebook reader heads and shoulders above the other ebook readers in the market. Is this the Kindle for you? The 2011 Kindle – At £89 is the entry level Kindle, featuring the same screen and functionality as the other Kindles, but does not have a keyboard or 3G connection. The Kindle Keyboard 3G – At £149 is the top of the range Kindle, featuring a keyboard, and free worldwide 3G connection as well as WIFI so you can buy books and surf the web anywhere for free without needing a computer or WIFI connection. Therefore whatever your budget or requirements there is a Kindle for you. The 2011 Kindle is an amazing device which makes reading as accessible as ever. The device is light, compact, and the excellent screen makes reading for long periods a pleasure. But if your budget can stretch to £149, we would highly recommend the Kindle keyboard 3G. As a frequent traveller the free 3G connection is fantastic, and lets you buy ebooks anywhere you are, even abroad. Plus you can use the kindle to browse the internet for free to check your emails when abroad saving you £££ on roaming charges. 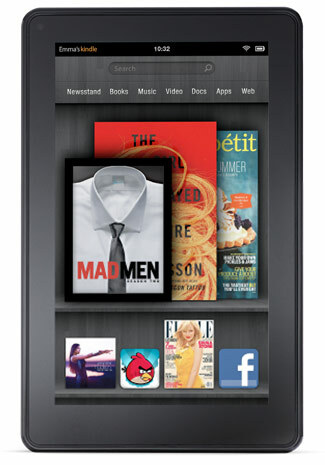 Click here to find out more about the Kindle 3G. Where to buy your Kindle? The best place to buy your Kindle is from the Amazon UK website here or the Amazon USA website here. You will be able to get free delivery and are covered by their excellent warranty.